The United States military currently employs snipers extensively in it's operations in Iraq. Insurgent snipers are also becoming more and more common. It is likely only a matter of time before news will reach the public with stories of intense sniper battles the likes of which we have not seen since the siege of Stalingrad. These snipers are in large demand in the war zone due to the nature of the fighting. The small number of the insurgent force, and their ability to disappear into the civilian populace, makes killing them from a distance a must. 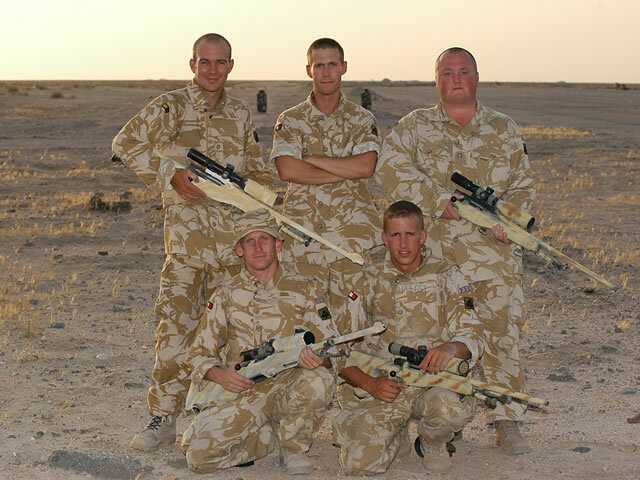 But the insurgent forces facing the American armed forces in Iraq have been training snipers of their own. The Islamic Army of Iraq, which is made up mostly of Iraqi security forces dismissed during the U.S. led invasion of Iraq, have been using a U.S. military training manual written by renowned sniper John Plaster to train their snipers. Snipers in Iraq, meaning Iraqi snipers, film their shots, as they snipe U.S. military targets. The videos are then distributed as propaganda to fuel the insurgency. It is believed that their primary objectives are chaplains, media personnel, and civilian contractors and engineers. There is even a hero sniper of the insurgents who is called Juba by the U.S. Troops. There are reports that he has been killed, but these claims are disputed by videos of his recent hits against U.S. targets. The sniper has long been an important part of modern warfare. The decimated buildings that litter the landscape of downtown Baghdad make perfect vantage points for snipers to attack targets and quickly disappear. It only stands to reason that snipers will play a big part in the Iraqi theater.